Creating a digital society: Can we learn something from Estonia? Estonia has noticeably more women than men. Some of its residents participate in a sport called ‘wife carrying.’ Others enjoy what looks like a high risk swinging activity (no, not that kind). Everyone loves to sing and use Skype. But perhaps what’s more significant is that Estonia, with its population of only 1.38 million, has the honour of being part of the ‘Digital 5’, the five nations that are world leaders in digital transformation. The others are New Zealand, Israel, South Korea and the United Kingdom. 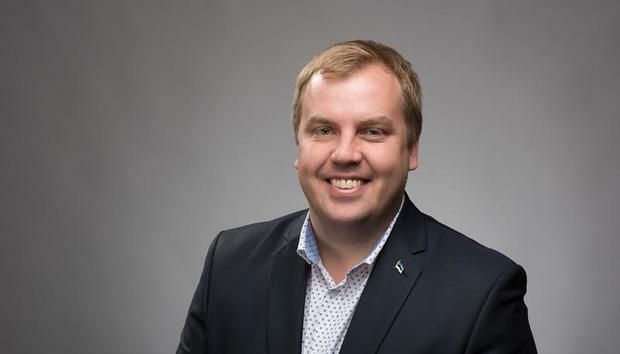 Estonia’s chief information officer Simm Sikkut landed in Australia last week as a guest of the Department of Foreign Affairs and Trade for what he describes as an ‘exploration mission.’ It was an opportunity for Sikkut to impart his wisdom on a government that, to put it mildly, has performed rather poorly on the digitisation front in recent times. Sikkut is a highly experienced government tech exec. As government CIO at Estonia’s Ministry of Communications and Economic Affairs, he sets strategy and policies to launch and steer strategic initiatives for the development of digital government and society in the small Northern European nation. And Estonia is a nation with a unique history of technological innovation – so much so that you can’t help but wonder what Sikkut can learn from Australia. On August 20, 1991, Estonia gained its independence from the Soviet Union (which had illegally occupied it since 1940). This meant that every piece of the nation’s economy and society had to be rebuilt from scratch. In technology terms, Estonia was the ultimate ‘greenfield’ site. “It was the early 1990s and a time when PCs and the internet were becoming mainstream. So that meant in banking, for example, we never had chequebooks – we jumped to online banking almost immediately as we were building up the banks anyway. So that really helped to build up a critical mass of users,” says Sikkut. The Russian financial crisis of the late 1990s drove home the need for savings and efficiencies, enabled by technology and a vibrant and growing tech startup sector. Then, Estonia had a real stroke of luck. Swede Niklas Zennstrom and Dane Janus Friis created Skype in cooperation with Estonians Priit Kasesalu, Ahti Heinla and Jaan Tallinn. Being a greenfield site has certainly helped Estonia more easily build a digital society but 20 years later, the country now has its own legacy infrastructure “to fight with,” Sikkut says. Still, any legacy that does exist isn’t holding the Estonians back. Although it’s hard to quantify all the benefits gained from digitisation over time, the country is reporting some pretty impressive results. For instance, no-one in Estonia signs anything on paper anymore. Digital signatures are used in all business-to-business and business-to-consumer transactions which saves the nation around two per cent of GDP every year. “We estimate we save about a work week for everyone employed each year … [equating to] about two per cent of annual output of GDP so that’s the efficiency gain that digital signatures alone give us,” says Sikkut. Currently, 99 per cent of Estonia’s state services are online – enabled by 900 connected organisations and databases – that are responsible for more than 500 million transactions per year. This is in the country with less than 1.4 million people. In 2005, Estonia was the first country in the world to introduce online voting with 30 per cent of residents now voting online. This has saved more than 10,000 working days. “We also have very effective tax administration. If you compare the tax revenue raised as opposed to the administration cost, we are the most efficient of every advanced economy in the OECD. Again, that’s a heavy result of digitisation,” says Sikkut. In healthcare, the country has rolled out digital prescriptions, health insurance transactions are done online, technology has helped cut hospital queues by one-third, and personalised medicine is in the works. “Hospital queues have fallen based on better use of data and electronic health records. Police have been able to find more stolen cars – in just a few months they raised the number of investigations they were able to solve by 50 per cent as soon as they had access to real-time databases in their patrol cars,” he says. Weighed down by legacy technology, project failures, a vast geographic landscape and a change of government in 2013, Australia’s digital transformation experience is somewhat different to that of Estonia. Project failures have done little to convince the public that digitisation and innovation is a priority for the government. In 2017, the Census website crash meant citizens couldn’t fill out the required forms on Census night; and the government’s automated ‘robo-debt’ system issued debt recovery notices to 20,000 welfare recipients who were later found to owe less than the notice claimed or even no money at all. Australia’s much hyped digital unit of the government, the Digital Transformation Office (now the Digital Transformation Agency), lost its chief executive, Paul Shetler, after little more than a year in the role. After leaving, Shetler, a native Brit, later went on the attack, saying if the government was a private company, it would go out of business or be shut down by regulators for fraud over the Centrelink debacle. Shetler also said his decision to leave the government was down to a philosophical clash with minister, Angus Taylor. Estonia too has failed several times, says Sikkut, but it’s failed fast and on a smaller scale. Last year, the Estonian government wrote-off a new social welfare system that Sikkut says “was going in the wrong direction." “So don’t make us [Estonia] into wonderland,” he says. “Quite clearly, it's very hard to have the digital capacity in very many different agencies [federal and state and local councils] at the same level. “In Estonia we have made quite an effort to do the skilling, training and raising awareness of the folks in government about what digital is and how to be agile and user-centric. The trick is that usually the efforts are aimed at tech folks but they should be equally, or even more, aimed at the policy or service folks who are not techies at all. “Ultimately a transformation is only successful as much as the process is transformed, not the technology introduced,” he says. Furthermore, Sikkut says he hasn’t seen a country anywhere in the world where a successful digitisation program has happened inside government without a strong digital transformation centre, Office of the CIO, or something similar. “Someone has to lead this. For example, setting technical standards, having tools or levers to give others incentives to join them using a ‘carrot or a stick’ – that might be a special fund to bring others along or the ability to stop a project or do it differently. “Somebody has to set the direction and then bring others on board for this at the federal and state level. Clearly, I am talking about an organisation like [DTA] – it’s an amazing building block you guys have if it is really put to full force,” he says. Giving citizens options and addressing their privacy fears, for instance, related to digital services, if also crucial, he says. If governments don’t digitally transform, it’s a missed opportunity to create efficiencies and savings and improve global competitiveness, says Sikkut. “In Estonia we see that people move more and more between jurisdictions. Clearly you don’t move for the sake of government bureaucracy but that can be a factor when you talk about talent or foreign investment. If you are able to streamline, based on transformation, how you operate and reduce red tape, you will have an advantage. No doubt some of these businesses are technology startups. Sikkut admits that the Estonian government has been slow to ‘really capture’ the value that technology startups can provide. With this in mind, bringing startup communities together is one of his office’s core programs. “To do this, we have to change how we procure and architect things. For example, we have to be much more micro-service and API-based as opposed to [deploying] monolith systems. We had to change how government IT machinery works to be able to effectively work with startups better,” he says. Finally, Sikkut believes many governments around the world worry that citizens don't trust them to deliver what they need. "If the way we work is archaic and inconvenient, we let them down and they feel let down. So from a political and government point of view, that's an issue because it creates further mistrust and ignorance," he says. "Clearly, we want society to feel like they belong and to engage with us."